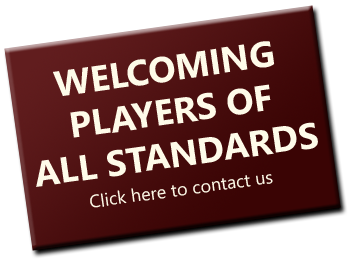 We are a Badminton England accredited Premier Club in Ipswich, Suffolk, who cater for players of all abilities. We take great pride in our friendly club atmosphere and so, whether you enjoy playing recreationally or would rather play high level league badminton, why not come along and enjoy your first three sessions completely free? Club nights are held every Tuesday evening from 7.30pm onwards throughout the season, and for those of you who are extra keen we also run a summer club between the months of May and August. For more information about club times, please see our Costs and Times page. In addition to club play, we have four Badminton England qualified coaches who will happily offer free coaching to any of our members on request. All club nights and matches take place in our specialist 3-court badminton hall which has recently been renovated to meet the national governing body’s latest standards. Feather shuttlecocks are used throughout all of our club play and league matches. Other facilities on site include a large bar area, a function room and a fully equipped gym. To read more about our facilities, please see the Facilities page. For those of you who may be interested in playing league badminton, the club runs 6 teams in the Ipswich and District Badminton League (3 Mixed, 2 Mens’ and 1 Ladies’ team). We are the current Mixed league champions. For more information about our league teams, please see the Teams and Fixtures page.